Descriptions of our awards can be seen below. We no longer give products or games scores; the reasons for this are detailed in this article, but in short, we feel that scores do not really add much to the review and can be misleading, and that the key differences can only really be fleshed out in the words of the review - as writers, that's where we want our focus to be. 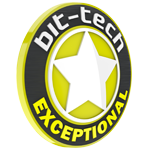 Exceptional – An Exceptional product is a brilliant one that marries performance, features, and other aspects almost perfectly. It may be quite pricey, but it will also be the sort of product worth saving for. 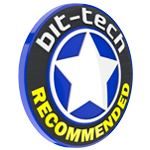 Recommended – A Recommended product is just that: something we're happy to recommend for purchase for most people. Such products will be better than most of their competitors while still offering good value for money and features without any major drawbacks. 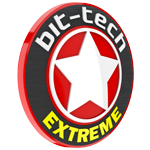 Extreme – This award is for fantastically fast, effective, or desirable products that every enthusiast aspires to own but only a select few can afford. 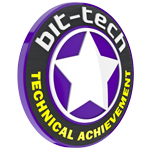 Technical Achievement – This award is reserved for products that excel in attractive, unique, or ground-breaking design or performance, irrespective of price or other features. Such products are likely to be niche in appeal rather than must-have bits of hardware. They won't necessarily be the most well-rounded products, but there will be one or two areas where they absolutely stand out for all the right reasons. 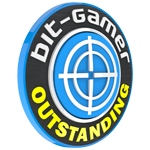 Outstanding – An award that we reserve for the absolute cream of the games industry's produce. Outstanding games are games that redefine their genre, or make us reassess what games are capable of. 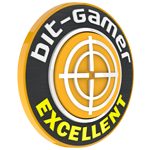 Excellent – Excellent games are precisely that. Smart, innovative, meticulously designed, and exhibiting very few flaws. 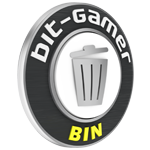 These games are prime examples of their genre that you'd happily recommend to anybody. Recommended – The Recommended award is for games that, basically, you'd personally feel comfortable paying money for. These games achieve what they set out to do successfully but don't quite reach the heights of those Excellent games that reach just that little bit further.